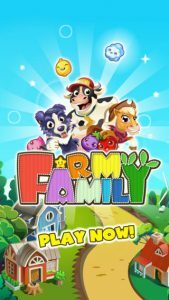 Farm Family iPhone Game Review: "I like it more than Candy Crush"
Farm Family is an iPhone game developed by Colorful Mobile Life. Here’s a shocker: I like it more than Candy Crush. 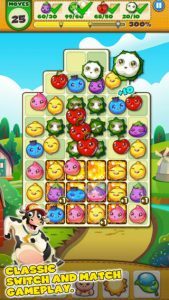 Boasting beautiful graphics that are lush and totally cute, Farm Family is a tile-swapping, match-3-in-a-row type game. 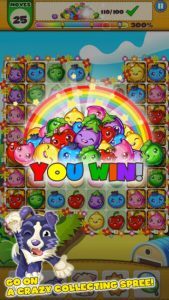 I like this game way more than Candy Crush, mostly because Candy Crush always seems like it’s constantly trying to open my wallet. Farm Family comes off as more carefree! 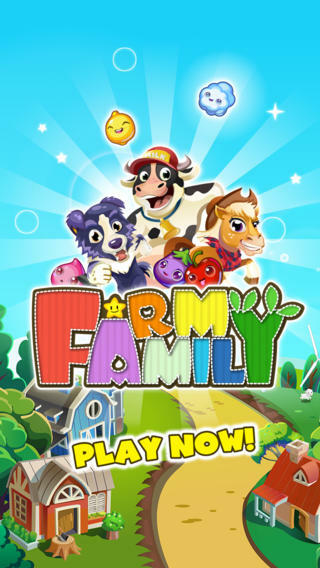 That’s not to say that Farm Family doesn’t want you to make in-app purchases. You can definitely spend a lot of money on this game…but it never feels as pushy as Candy Crush! The match-3 genre is totally overdone at this point, but Farm Family manages to make it all seem fresh again. That’s partially because of the character designs are so engaging. The sound is also really energetic and cute. Farm Family is also fun because it isn’t just about scoring points. 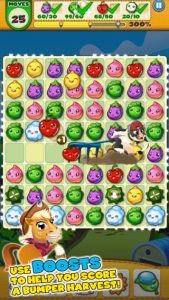 Each level has mini missions, forcing you to collect a certain number of each kind of fruit in order to progress. 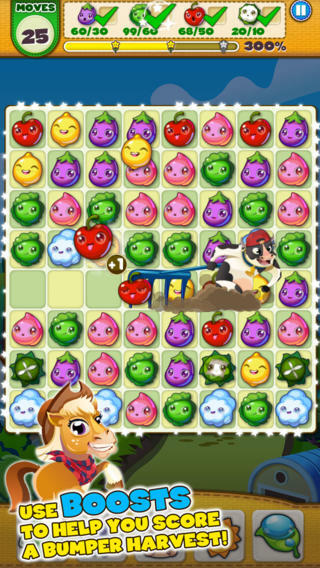 To some people, Farm Family is going to come off as a mere Candy Crush clone. There are some similarities, such as the “cool down” period and the boosters. But Farm Family really does have a different feel to it. If I have one quibble with this awesome game, it is the level of difficulty. Candy Crush is so addictive because it is so hard…in contrast, FF is almost too easy. 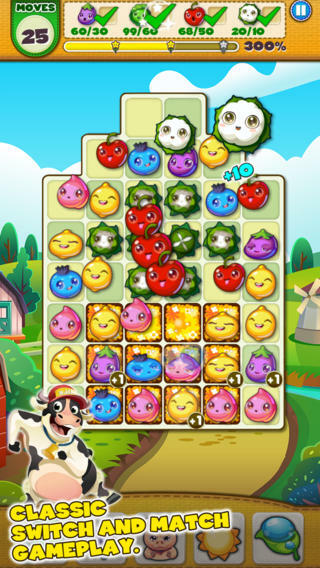 Fans of Candy Crush, Bejeweled, or other match-3 type games will love Farm Family! Even if you’re sick of match-3 type games, you should give this title a try! Seriously…I could not put this game down! Farm Familyis compatible with iPhone, iPod touch, and iPad. Requires iOS 4.3 or later. This app is optimized for iPhone 5.